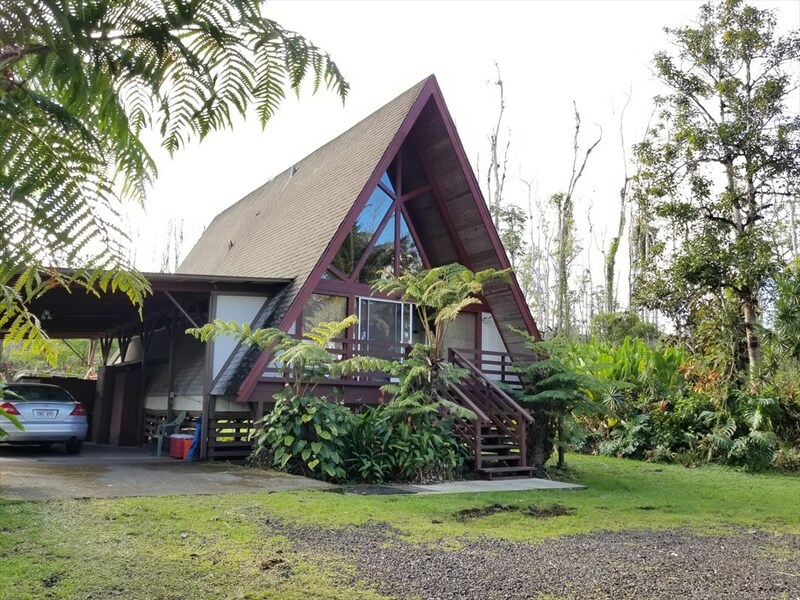 Perched on a lush acre across the street from fields of lava, this 3 bedroom A-Frame with story book village appeal offers you a sense of peace and retreat. Lots of windows let natural light brighten every room. Enjoy the rich colors of mature native plants and palms.